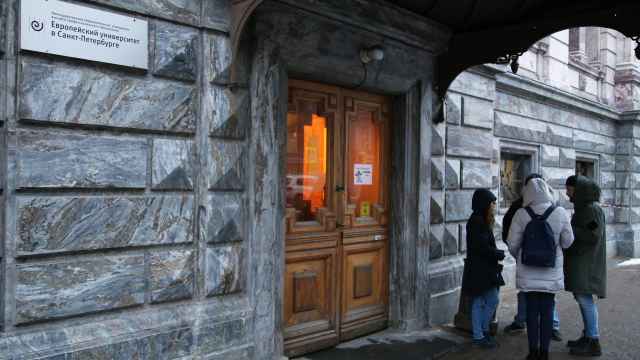 "I also come from a harsh authoritarian regime"
In March every year, students at the European University in St. Petersburg set off the building’s fire alarms and parade a fire hose down the main street in front of the neoclassical Small Marble Palace. The rowdy spectacle is a celebration of EUSP’s win over an attempt by the local authorities to close down the school over supposed fire-safety breaches in 2008. But this year the ritual was less celebration than deja-vu. The march came at the end of an anxiety-filled spring term, which ended a month early, dampened by new fears the school could be shuttered — this time for good. 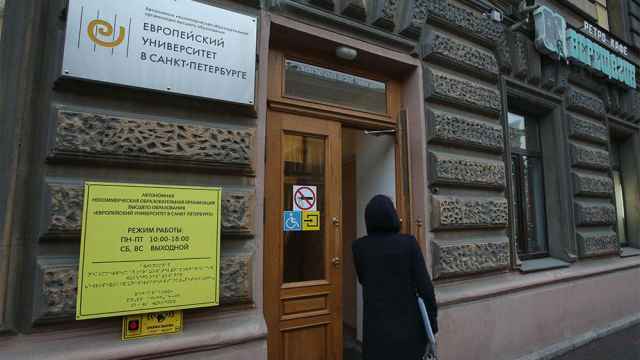 Russia’s education watchdog Rosobrnadzor last year revoked the university’s teaching license, citing unspecified administrative violations. Rather than appeal the watchdog’s decision, the university reapplied to the government for a new permit. In September, Rosobrnadzor rejected the application. With the new semester set to start on Nov. 1, many Russian students have been hired by the university as research assistants. But up to 30 foreign students who came to Russia for a two-year Master’s program have been left in the lurch halfway through their studies. Kelly Egan, 23, a Russian studies major from the United States, prepared diligently before coming to St. Petersburg. With links to prominent reformers, like former Finance Minister Alexei Kudrin who is on the private school’s Board of Trustees, the EUSP has earned a reputation as a bastion of liberal thought and has traditionally attracted many foreign students. The ongoing struggle with Rosobrnadzor and the local authorities, however, risks turning the school into a symbol of red tape and political intrigue. After the crackdown in 2008, Rosobrnadzor came with fresh charges late last year, citing violations like the absence of a gym at the university building. The watchdog claimed a new EUSP building did not meet building standards, but in a meeting with the administration, Rosobrnadzor officials wouldn’t specify which standards weren’t being met. The government agency was not a consultancy service, the university said. Rosobrnadzor did not respond to The Moscow Times’ request for comment. Rather than appeal Rosobrnadzor’s decision, the EUSP reapplied for a teaching license. The school reasoned that it would allow the watchdog to save face while allowing the school to continue teaching in the fall. “It is the best-case scenario for all stakeholders: the EUSP, the Russian government, Education Ministry and Rosobrnadzor,” International Programs Dean Maria Trofimova wrote in an email to international students in April. But with the days counting down to the new term on Nov. 1 — the final day to start the new semester — the university is not any closer to opening classroom doors. The looming closure has brought with it speculation over what could be behind the crackdown. Some in EUSP’s administration wonder whether its progressive gender studies program has riled conservative politicians. Others suggest the closure is part of a political tussle ahead of presidential elections next March. “Kudrin is one of the possible candidates for prime minister,” explains Ivan Kurilla, International Program Director at EUSP. Without a teaching license, the EUSP will have to limit its activities to conducting research. 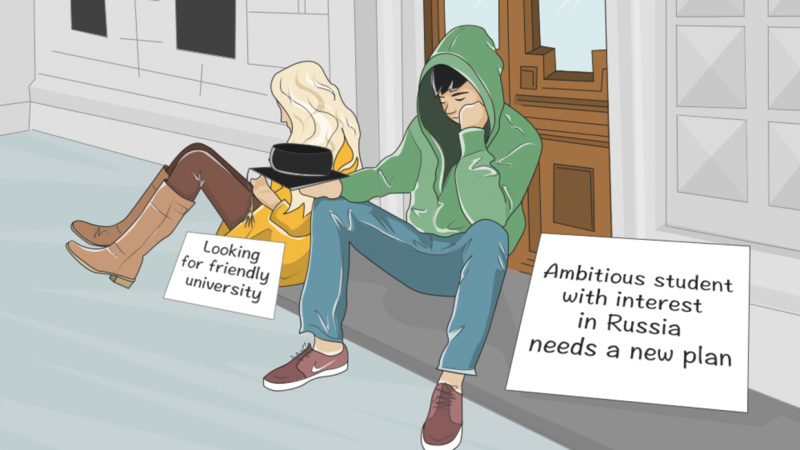 Some Russian students have been hired as assistants to allow them to stay on, but international students — who are restricted by Russia’s visa regulations — are now scrambling to look for alternative options. For Orkun Arslan, a graduate student from Turkey, waiting out the year in Russia in the hopes EUSP will get its licence in the meantime is too big a risk. As an emergency alternative, the EUSP gave students from abroad the option of transferring to the Higher School of Economics or MGIMO — two prestigious universities in Moscow — where they could join classes in the middle of their fall semester. 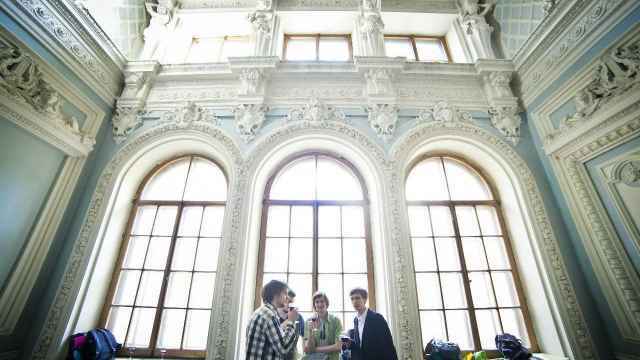 But the EUSP offers a level of academic flexibility which is uncommon to the Russian educational system. “When we started to think about where we could transfer our two-year students we realized there aren’t so many other options,” adds EUSP Program Associate Director Gevorg Avetikyan. Some international students worry the gap on their CV’s will be difficult to explain at home. For others, the situation feels familiar and seems to confirm some of the negative associations some people have of Russia as an unpredictable country. “I also come from a harsh authoritarian regime where an independent research institute is not something ordinary people can imagine,” Xu Huang, from China, told The Moscow Times. And American student Egan’s parents weren’t surprised by news of the scandal either. “My parents, who don’t have the brightest outlook on Russia — thanks to a little bit of pessimism and the impact of the American media — were basically like, ‘so this is what you get!’” she says. For many of the EUSP’s staff the situation is mostly frustrating. Russia’s Education Ministry has said it will to loosen student visa restrictions and recruit more fee-paying international students to Russia, says Trofimova, the International Programs Dean. Meanwhile, EUSP, which was doing exactly that, is no longer allowed to teach. She compares the situation to Zmey Gorynych, a three-headed monster from a Slavic fairy tale. “One head doesn’t know what the other head is doing,” Trofimova says. Meanwhile, it is almost impossible to predict whether the university will still be up and running next year, when students are meant to hold the firehose parade. “I may as well read out a horoscope,” jokes Trofimova.